Come out and enjoy some wine and music with us, for our first concert since harvest started! 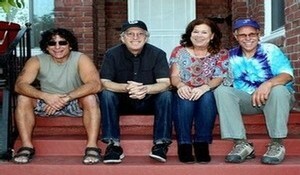 Haywired band will be here performing this afternoon, and music will run from 1-4pm. Seating is first come first served, so late arrivals may want to bring their own chairs. You are welcome to bring a picnic, and wine will be sold by the glass or bottle. This event is free to attend, and well behaved children and dogs are welcome. Dynamic vocals and great jams are the hallmark of Haywired band. Liz Schuler plays rhythm guitar, Chris Hunefeld plays lead guitar and violin, Mark Giuseponi is on mandolin and muted trumpet while Scott (Wristband) Porco plays bass. Try something new, discover Lodi Tempranillo and taste Spain's most popular variety! 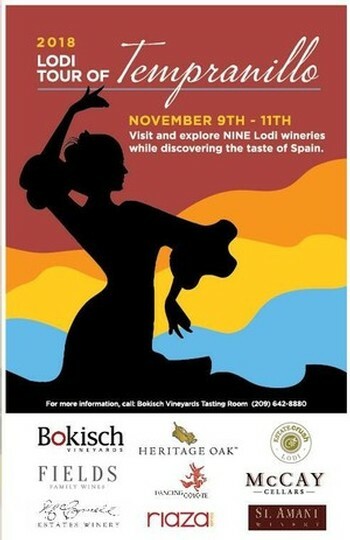 To celebrate International Tempranillo Day there will be a self-guided tour of 9 Lodi based wineries producing a Tempranillo the second weekend in November (9th-11th). Visit any one of the 9 participating wineries to collect a complimentary guidebook and begin your exploration of the 3rd Annual Lodi Tour of Tempranillo. Each winery will have a different offering and many will have special tastings only available at this event. Participants will be entered in a raffle for each winery they visit. We are excited to be a part of this event again, and will be sampling our 2014 Tempranillo (limited), releasing our new 2016 Tempranillo, and also sampling the 2014 & 2015 Spanish Suite. Looking for that special, unique gift for the holiday season? 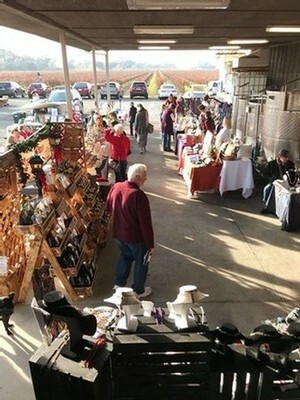 Come sip some Heritage Oak wine, and shop a variety of goods from local vendors selling hand-crafted, one-of-a-kind items from 11 AM to 4 PM on Saturday, December 8th. Jewelry, soaps, olive oil, artwork, photography, candles and more will be on display and for sale. We'll have live music in the afternoon with Frankie & Annette. We are also looking to fill a few more vendor spots. If you're interested, download and send us this FORM or respond via email with the needed information. Thank you.